Beneath the streets of Exeter are what remains of a network of medieval tunnels built to supply the city with fresh water. Just a few hundred years later, they had fallen in to disrepair and became all but forgotten – until opening again as a tourist attraction in the 20th century. 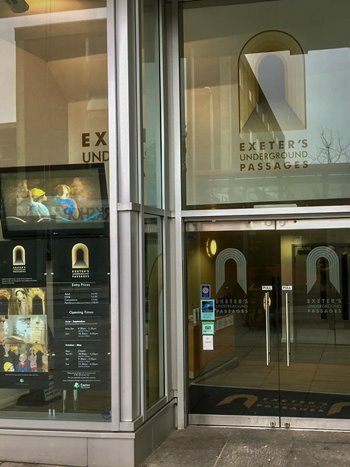 I recently had the opportunity to attend a guided tour of Exeter’s Underground Passages, and was surprised to learn that no other city in the United Kingdom has a tunnel system of this kind. 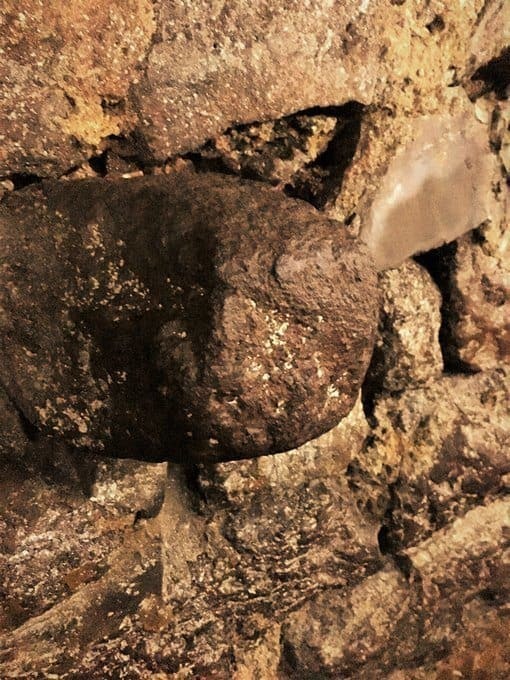 Find out more about the fascinating story behind this rare historical attraction – and my personal experience, by reading on below. Walking around Devon’s historic city of Exeter is a rich experience for the keen archaeology and history enthusiast. There are substantial sections of the multi-period city wall, 19th century catacombs, and an architecturally stunning Medieval cathedral to marvel at. Beneath the hustle and bustle of Exeter’s high street, however, is a hidden archaeological wonder. 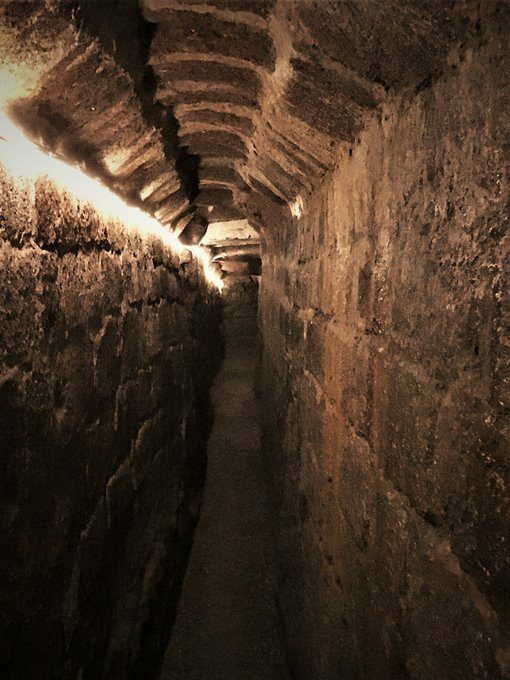 Between four and six metres below the surface, and stretching 425 metres across the city centre, is a network of medieval underground passages with a fascinating story to tell. It is not often one gets the opportunity to explore underneath a city. 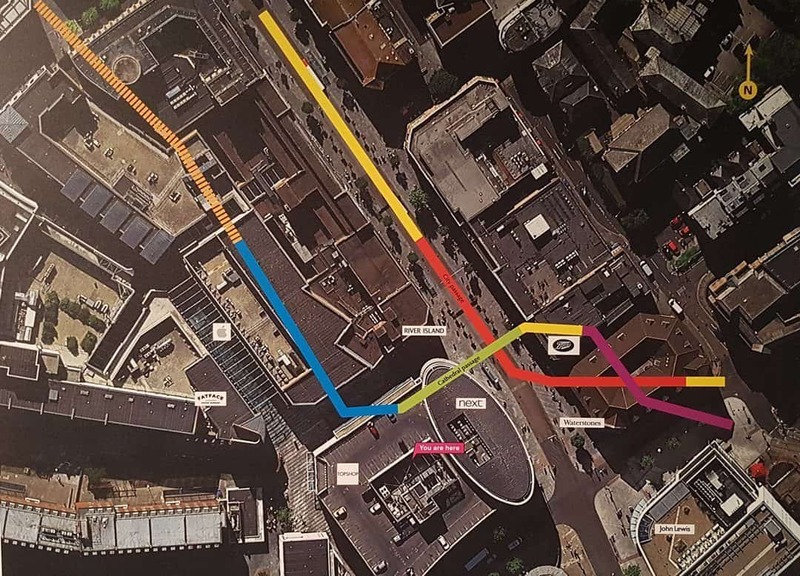 For me, this makes Exeter’s Underground Passages a unique and must-see-experience. The tunnels were built in the medieval period to house led pipes which were used to supply Exeter with fresh water. The pipes worked by transporting water from natural field springs which lay outside of the city walls. What I find truly fascinating is the planning that went into this engineering project. It was obvious to the people constructing them, that access was needed for maintenance – this is why the system of vaulted tunnels and a number of entry points were created. Construction of the first passage began in 1346, with the aim of bringing water to Exeter Cathedral. The city was very much an ecclesiastical power at this time, and so fresh water became a luxury enjoyed mainly by the clergy. The city passage, which eventually brought water to the residents of Exeter, was built in 1492. Only a select rich few had water piped directly to their homes, while the majority of the population used a fountain known as ‘The Great Conduit’. This was rationed, with the poor using it for drinking, while the rich used it to wash their food – they preferred to drink ale and wine. Sadly, this large feature, which once stood at the junction of South Street and Cross Street, was demolished in the 1700s. The Civil War caused a section of the passages to be blocked off and filled in during the 17th century. This was due to fears that the tunnels could be exploited by the military as a way of entering the city. They were then reopened again after the war had ended. The 19th century saw yet more change, a widespread outbreak of cholera highlighted health concerns which resulted in the water system being redesigned in 1832. This replaced the old led pipes (which operated as a syphon) with cast iron ones, and the passages being levelled out to improve water flow and reduce the build-up of stagnant, disease-harbouring water. The source of water was also moved to a purpose-built treatment facility at Pynes Hill. The tunnels eventually became neglected and unused after damage was suffered during the construction of Exeter’s railway in 1857. After a period of inactivity, interest surrounding the underground passages returned in the 1930s in the form of guided visitor tours (although I’m not sure if the conditions were quite as favourable then as they are now). 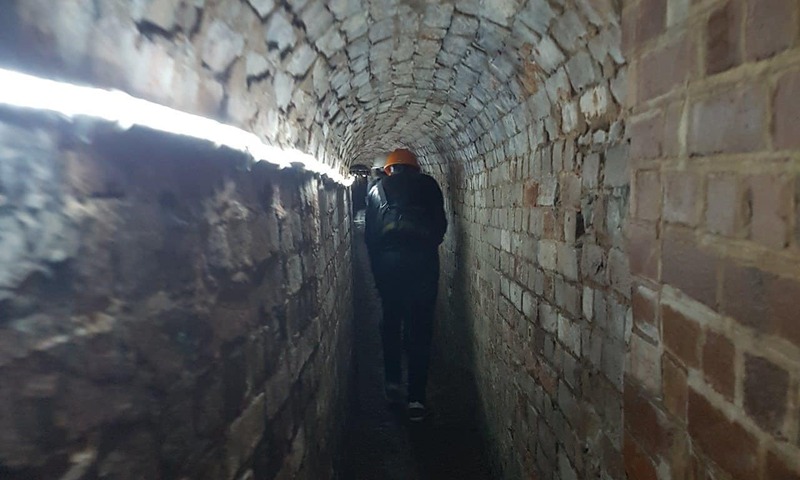 We then find ourselves caught between the realms of factual history and storytelling – it has been stated that a section of the tunnels was used as a WWII air raid shelter. Whether people actually took refuge in the passages during the war is steeped in mystery. As are the sightings of a ghost who is supposed to cycle the passages by night! 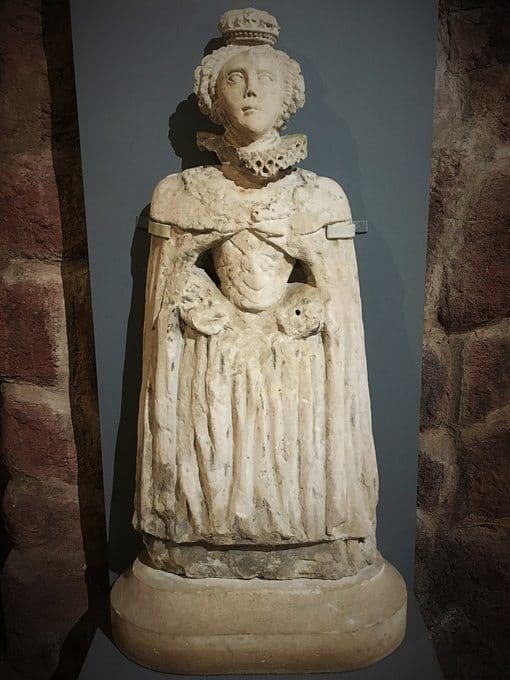 One of the most extraordinary artefacts associated with the underground passages is a late 16th century statue of Queen Elizabeth I. That we still have this statue today, fully intact, is itself a story of remarkable survival. The figure was carved in 1590/1 by the Exeter-based sculpture Arnold Hamlyn. His workshop was located in Guinea Street, the West Quarter of Exeter. Hamlyn is well known for having sculpted the elaborate Elizabethan portico of the city’s Guildhall. One of his carvings of a saint, recovered during the restoration of the Guildhall in 1970, can be seen on display in Exeter’s Royal Albert Memorial Museum. The statue of the first Queen Elizabeth was made to adorn the public water conduit on Exeter’s High Street, known as ‘Little Conduit’. In 1694 the conduit was demolished to make way for what was St Lawrence’s church. A photograph of the church taken in 1905 shows the statue in a small niche above the church’s porch. During the Exeter Blitz of 1942 the church was destroyed. And today the Cooperative Bank stands in its place. But the statue of the queen survived, and was donated by Commercial Union Insurance Company to Exeter City Council in 1992. 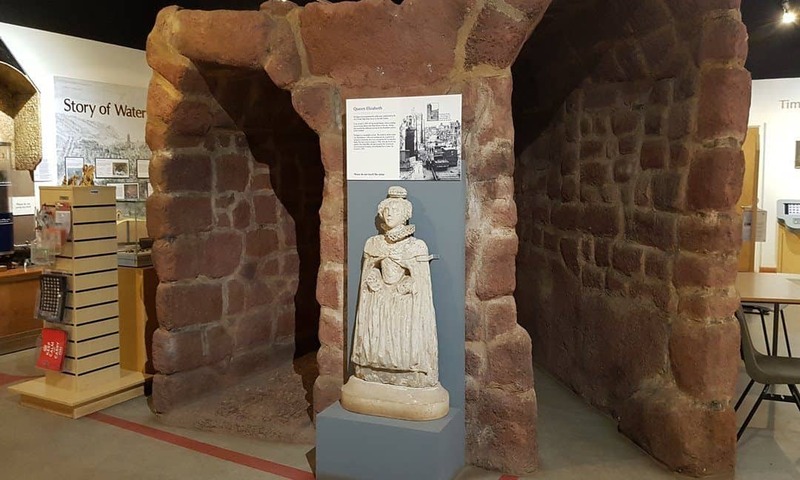 She now holds pride of place in the Underground Passages’s Heritage Centre, where you can see photographs of the St Lawrence church and its destruction in 1942. Access to the passages is through an informative and friendly guided tour which is included with the admission price. Whilst waiting for the tour to begin, I took a moment to wander around the exhibition. It had lots of information about the passages and a number of artefacts to admire. There can be up to ten people on a tour during high season, though there was just three of us on this particular occasion (late March). Before embarking on our journey, we watched a short video that offered historical context and background. With that finished, our guide beckoned us towards a door which led to the underground passages. Hard hats were supplied, which was helpful as my head became friendly with the low ceilings on two occasions (I am 6 foot 3 after all). The tunnels are well lit – but not too bright, which adds to the atmosphere of being underground. This was also great for photography which was allowed during the tour. There was a surprisingly diverse amount of archaeological history within these passages. We started out in the original Cathedral passage and in no time at all, travelled forward in time to an 18th century Georgian section. This was rather narrow and differed from the older passages as it was constructed from local Exeter redbrick. It soon became clear that the networking of tunnels had been an ongoing project for hundreds of years. The wonderful result of this being a range of different structural styles and features. One tunnel offered the combination of a later-style truncated arched ceiling with an older section of stone wall – an example of engineering stratigraphy. As we moved along the narrow passages we became acquainted with one another (mainly through warnings of “watch out, low ceilings!” and “careful it’s slippery here”). No need to worry though, it’s perfectly safe and it really does add to the feeling of adventure! However, I would say that that this may not be suitable for someone who does not enjoy tight or confined spaces. The Medieval section widens out significantly and there are some great archaeological features here. Over 500 years old, it contains the only surviving section of the original East Gate city defence. It was wonderful to press my hands against these stone slabs knowing this. Another joyful moment was seeing original hand and foot holds which would have been used for accessing the passages. There were also finger mark impressions persevered within an area of wall. These would have been left behind by workers smoothing out the mortar with their hands around seven centuries ago! They may be narrow, but the passages are fully lit throughout. Footholds in the walls of the passages. Next, we ventured to the lowest passage. We were now six metres below the streets of Exeter, and it was colder and wetter. The conditions were almost cave-like, and I managed to spot a young stalactite growing from the ceiling above. Towards the end of the tour, our happy-go-lucky guide gave us the option to navigate our way through the only tunnelled passage. He explained that this would have been constructed to travel underneath the East Gate’s tower foundations. Fully aware that we would have to crawl on our hands and knees at some point, we bravely went ahead – it was unexpected and exhilarating. I enjoyed the way that the tour operated. It involved moving through the various passages and then taking some time to stop and learn about their history. We ended by experiencing the tunnels in complete darkness. Without any light, I could imagine what conditions may have been like for workers in centuries past. We also considered if the stories of people taking shelter here during the blitz were in fact true. Indeed, some parts of the passages were heavily damaged during the blitz. One member of our tour (a local man) shared with us that his late-mother had been on fire watch in Exeter during the Second World War. It was a thought provoking moment for us all. With the tour over, we were led back to the 21st century in a matter of minutes. I removed my hard hat and placed it back on the rack. Through the door, I found myself exploring the exhibition one more time before leaving. 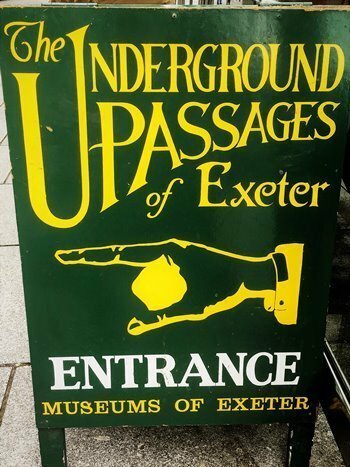 Visiting Exeter’s underground passages was both enjoyable and educational. I recommend this to couples, groups, families, and the ‘lone ranger’. Come and experience it for yourself – and take a rare and exciting look underneath a city. 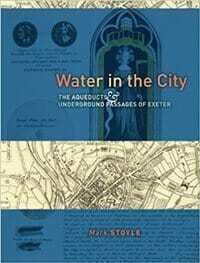 Read more about Exeter’s highly sophisticated system of public water supply. Mark Stoyle, Professor of Early Modern History at the University of Southampton, provides a thoroughly readable and richly illustrated history of Exeter’s network of underground passages during the medieval and early modern periods. The book considers how and why the passages were built, how they were funded and maintained, and the many ways in which the water fountains were both used and abused by townsfolk. Access to the underground passages is only possible with a guided tour. The last tour starts one hour before closing. Booking is essential during school holidays. Check the website for more information about accessibility and safety. Jay to most, I am currently studying BA Archaeology at the University of Exeter. My interest in the ‘human past’ has been apparent since as long as I can remember. I am fascinated by a range of time periods and geographic locations, although recent learning about prehistory has really captured my imagination. When I am not studying, I enjoy exploring the great outdoors with my girlfriend, otherwise referred to as ‘she who keeps the map’ (for obvious reasons), and visiting historic and archaeological sites. Then I like to write about them.